“Life can be like jeon, Sarai,” the mother of “Seoul Food” author Sarai Koo tells her in the recently released book, as they feast on the traditional Korean pancake made with a variety of ingredients of different colors and textures. The advice went heeded — Koo dove into the complexities of her Korean American experience as she saw it for her book, filled with vignettes and observations from a second-generation childhood spent moving around pockets of Los Angeles. They’re the same learnings that pushed her into a career as a consultant and educator for disadvantaged students, and the same ones that she says she felt a need to introduce to readers, especially with a lack of non-fiction books about the journey toward finding identity as a Korean American. Koo said the book details her journey of learning to appreciate the Korean culture that many second-generationers rejected — music, food, television — and her road to better communication about those differences with her parents. “Seoul Food” is told through inspirations found in pieces of Korean culture. Bojagi, a Korean wrapping cloth, is the item that taught Koo unity in the way of her grandmother and her tendency to cut fabrics to make one whole cloth; Bibimbap and banchan, foods made with many parts, reminded Koo of people. The aforementioned jeon, a pancake, was another lesson in appreciating yourself as you are, leaving all the parts in. A snippet from the book includes the memory of watching her father, who owned a store in town, come home one night limping and beat-up after being threatened by a gun and knife for his earnings, and the horror of watching his former store, a gas station in South Central, lit on fire during the LA riots on television. The questions, the bullying, racial comments, confusion by society’s ideals of beauty, feeling alienated from both Koreans and Americans — these personal experiences now form the groundwork through which she leads students toward better paths, she said. Her non-profit, MAPS 4 College, provides guidance to kids via after-school programs and college prep courses. Students range from the chronically depressed to those who face bullying in school and those who need motivation. She runs MAPS using her own theory called SPICES, a curriculum based on how Koo sees people and life. The idea is that everyone has their own kashi, or fish thorns, that give them pain, she said. “We’re not supposed to hide [the thorns.] We have to take it out. I’m taking them on a journey to take out their kashis,” Koo said. After studying human development as an undergraduate at the University of California, San Diego, it was clear what she wanted to do. MAPS has helped more than 16,000 students, community members and adults since its 2006 beginning as a consulting service. In 2014, it was awarded by California Parks & Recreation Society as the best community-based organization in the San Gabriel Valley region. 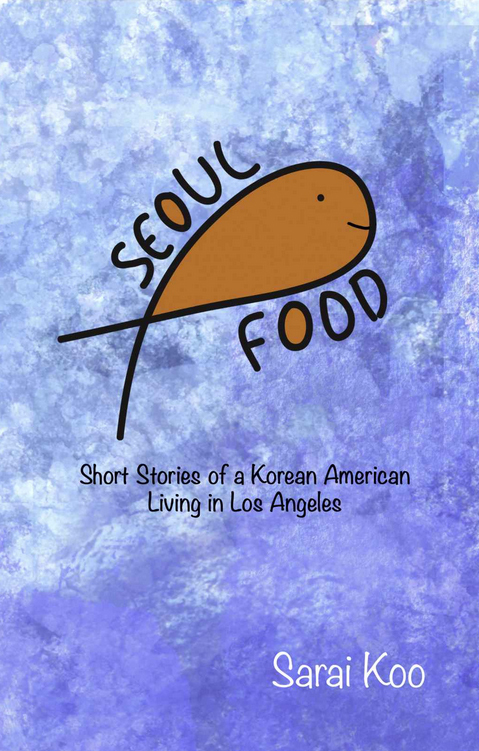 Koo is working toward making “Seoul Food” into a theater play, and is looking for a Korean translator for the book. Her parents are waiting for the Korean version. Read more about the book at SeoulFood.us, and visit the author at saraikoo.com.